The Woodbridge Township District Honors band is an ensemble comprised of the finest instrumentalists from JFK, Colonia and Woodbridge High Schools. Admittance into this ensemble is by director’s discretion. Rehearsals begin in late December and culminate in a concert in February. In addition to the three high school band directors, many Woodbridge Township instrumental music faculty rehearse and perform with the ensemble. 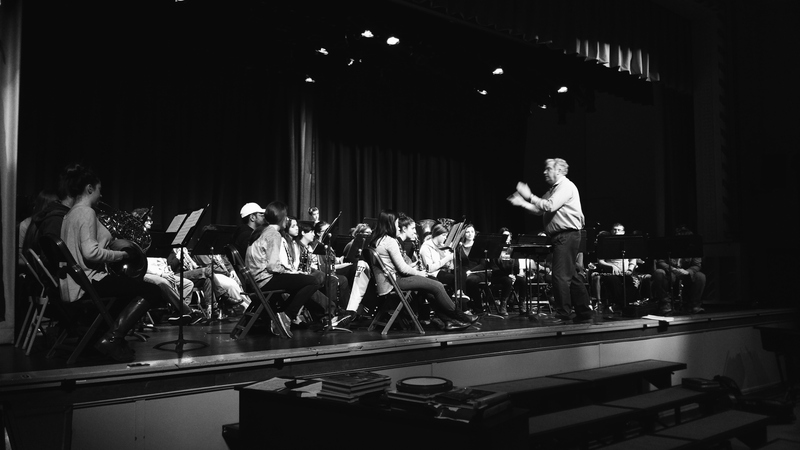 For the past three years, the District Honors Band has had the pleasure of having guest conductors work with the ensemble during rehearsals and conduct a number of pieces at their concert beginning with Dr. David Vickerman of TCNJ in 2015 and continuing with Professor Daryll Bott of Rutgers University in 2016, Dr. Thomas McCauley of Montclair State University in 2017, and Nicholas Santoro of the Central Jersey Wind Ensemble. This year our guest conductor is Professor Todd Nichols of Rutgers University.